At EuroKids, we have been redefining early childhood education for over 15 years with our focus on providing a fun based learning environment. Keeping the ‘Child First’ ideology at the core of our pedagogy, our team ensures that the child’s development, safety and engagement needs are met in a home like environment as your child can play, learn & grow and imbibe essential life skills. 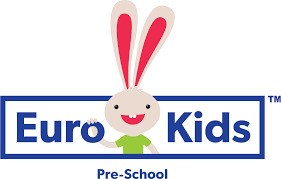 EuroKids is all about bringing together the perfect pre-school experience for your child. By providing emphasis on the child’s security, focussing on high levels of cleanliness and hygiene, providing a structured curriculum and ensuring the child’s well-being & development in close coordination with parents, we bring to you an experience that actually becomes Your Child’s Second Home! A typical day at our Pre-School includes singing, dancing and exploring play activities. These fun based activities ensure your child unearths his/her creativity, discovers, explores and learns new things each day. From child friendly furniture to playful exciting ambience and facilities, EuroKids offers your child a great environment to help them discover a new world every day. Infrastructure facilities built as per international standards & guidelines ensures your child gets the new-age learning experience in the safest and most stimulating Pre-School environment. Our innovations include specially crafted initiatives and programs for your child like S.P.E.A.K. Motion Based Learning, Learn2Play, EuroGym, EuroMusic and Wellness@EuroKids which provides your child a fun learning experience and helps him/her enjoy the pre-schooling world. Today we have a presence of more than 900 Pre-Schools across 3 countries, 350 towns &cities, having nurtured over 300,000 children. With over 17 awards in the education segment including, a)Early Child Playschool Chain 2017, b) Asia’s Most Trusted Pre-School Brand 2016, c) Indian Power Brand 2016, d) Innovation in Early Learning 2016, EuroKids is setting new benchmarks by REINVENTING EDUCATION in the country.